Scotland will miss the services of back-row Ryan Wilson for the remainder of the Six Nations tournament following a knee ligament damage. The 29-year-old played the entire first half during the second round game against Ireland that Scotland went on to lose 13-22 and was replaced by Jamie Ritchie in the second half. He will now return back to his club Glasgow Warriors for rehabilitation. Scotland already had a long list of injury causalities even before the started and now centre Huw Jones and full-back Stuart Hogg will also be in observation after suffering knee and shoulder injuries respectively during last weekend's game. 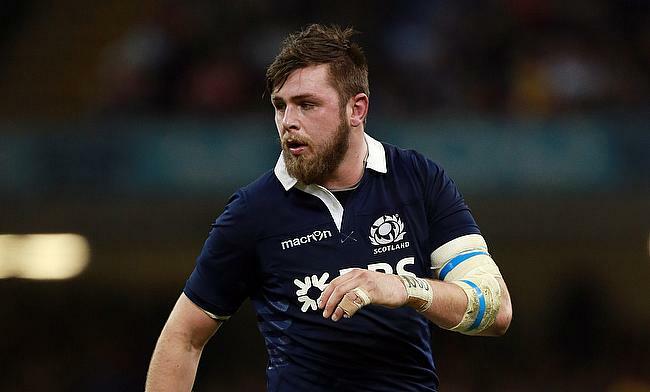 Both Jones and Hogg will remain part of the Scotland squad and will be assessed in due course. Scotland have maintained their third position in the table with a win and a defeat apiece and will line up against France in round three at Stade de France in Paris on 23rd February.